Okay, here is the section where you get to read my unvarnished opinion on my favorite albums, books, videos, concerts, etc. If there is a title that is not hyperlinked, I have yet to do the review. Coming soon! 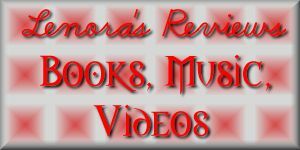 Reviews of James Lee Stanley CDs, Freelance Human Being, his newest, and Domino Harvest, and some more Monkee reviews! Also, reviews of some great new albums I found recently, by Jefferson Airplane, Big Brother & the Holding Company, and Crosby, Stills & Nash. I Got Dem' Ol' Kozmic Blues Again Mama!